"Because it claims she is a dual citizen of Bangladesh. Britain’s Home Secretary (or interior minister) Sajid Javid says he was legally entitled to strip Begum of her British citizenship because she already has Bangladeshi citizenship via her Bangladeshi-born mother. However, Bangladesh’s ministry of foreign affairs insists she is not a citizen, and that there is “no question” of her being allowed into the country. She has never lived in Bangladesh." Quick, can you list all the countries to which you have an "effective link?" Where were you born? Where do you reside? Where were your parents born? What about your grandparents? Where were you educated? Have you ever served in the military? What's your religion? Ok, so maybe you have links to 3 different countries. Or maybe 5. Or maybe just 2. Now, answer this question: Which of these links are "genuine"? Sure, maybe you've been living in Canada for the last 10 years, but do you really feel like you have a genuine link to Canada? Do you even like maple syrup? Have you ever even watched a hockey game? Do you feel like you are more closely connected to Canadians than with any other people? Maybe you were born in Gabon, but you left as a little baby. How genuine is your link to Gabon? Do you even know how to make baton de manioc? Have you ever even eaten manioc? Maybe your parents were born in the United States, but you've never been there. Are you American? You could very well be! Are you entirely sure that you're NOT American? What is nationality? The International Court of Justice says it's a social fact of attachment. A genuine connection of existence. So that clears THAT up. The UK passed a law saying that "terrorists" can be stripped of their citizenship. Who is a terrorist? Whomever the UK says is a terrorist. And so, through this circular logic, the UK has decided it can take citizenship away from anyone at any time. But doesn't international law prohibit creating statelessness by taking citizenship away from someone who doesn't have another citizenship? Sure, but who's to say someone is stateless? The UK says that Shamima Begum is a citizen of Bangladesh, but this seems to be news to Bangladesh. Both countries are now pointing fingers at each other with no solution in sight. The Statelessness Conventions define stateless persons as those "not considered to be a national" by any country "under the operation of its law." But there's no final arbitrator of statelessness, so the UK is free to declare someone is not stateless after all. Many stateless people find themselves in immigration detention for years, waiting to be deported because the country detaining them will not admit that they are stateless. Just ask Said Imasi, detained in Australia for 8 years. He is not sure where he was born, but he thinks his mother comes from Western Sahara. That country refuses to accept him. The logical conclusion is that Said Imasi is stateless, but the Australian government will not agree. Instead, they recently tried to determine where Imasi is from by recording his voice and sending it to an expert on accents. It may take forever, but the Australian government is going to deport him, somewhere. These cases highlight perhaps the biggest challenge facing efforts to resolve statelessness. 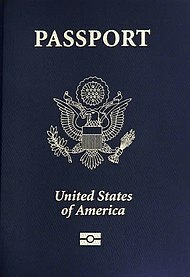 There is no international mechanism for establishing someone's nationality. 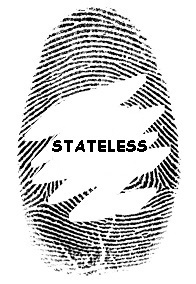 If you are stateless, there is no international forum where you can establish that. If your country decides you are not a national, there is literally nothing you can do, yet at the same time, your country can continue to deny that it has made you stateless. Yesterday, Mike Pompeo stated that a woman with an Alabama birth certificate was not born in Alabama. How he arrived at this conclusion is not clear, but before other Americans decide to leave the country, maybe they should ask themselves how well they've been getting along with Mike Pompeo. Because you're country can pretty much decide you're not a citizens whenever it wants to, and who is to stop it? Sure, Mike Pompeo may get schooled on this case by the US Supreme Court. There is a pretty strong precedent against denaturalization in Trop v. Dulles. But are you sure you want to take that risk? Not only can your country wake up one day and decide that you are not a national, other countries may refuse to offer you protection because they may refuse to accept that you are, indeed, stateless. Determinations of statelessness often require one state, such as the UK, to interpret the nationality laws of another state, such as Bangladesh. Good luck with that! Of COURSE other states will be happy to accept any person deported by the UK, particularly so that the UK can score a political win. Of course. The international laws of nationality and statelessness are like an endless hall of mirrors, each reflecting back a door that can never be opened, because it's not really a door, it's just a mirror. We all deserve better, but in a system of sovereign nation states, what authority is going to tell the UK, the US and Australia no? Who is going to force them to take back their citizens, or to resolve a case of statelessness created by other countries? So next time you're planning a trip abroad, make sure you're in good with Mike Pompeo. ***Update: AU pushback against attempts by the EU to recolonize Africa by offshoring migrant detention. The US recently got its very own refugee camp, the first in many years on US soil, called by many the "tent city." It's in Texas. There are over 2,000 children in this special camp built just for them. This news comes hard on the heels of a rash of other uncomfortable reporting about US migrant and refugee programs. A few days ago, Victoria Law wrote an op-ed in the New York Times about how private prison contractors use immigrants for forced labor. The new spotlight in the US media about our shameful immigration prison system, which houses at least 42,000 people, is very welcome. But what a lot of people don't know is that the biggest population of migrants and refugees in US migrant jail are actually outside the US, being held in refugee camps run by UNHCR and paid for mostly by US and EU tax dollars. Kakuma camp in Kenya houses close to 200,000 people, mostly fleeing war and poverty in Somalia. Kakuma might be outside the US, hidden from the sight of most Americans, but make no mistake, Americans own it. Never heard of it? That's funny, because it's probably been around for most of your life. Many of its occupants have been there for their entire lives. What does this have to do with the US? The US government is one of the biggest funders of Kakuma camp, as it is a major funder of refugee camps all over the world. The US government has been in the concentration camp business for quite some time. As a UNHCR report, published way back in 2000, explained, the people living in Kakuma, some of them for their entire lives, are not Kenyan citizens. In most cases, they do not have the right to leave the camp. As a UNHCR staff member put it at the time, the people in Kakuma are "confined to a small area in an arid corner of Kenya with scant legal access to integration..." Since the publication of this report, things in Kakuma have only gotten worse. Thousands wait hopelessly for resettlement, while the situation in Somalia shows no sign of resolving. Recently, TEDx was lambasted in the Guardian newspaper for hosting an event in Kakuma showing individual refugee problem-solving and resiliency, as though the people living there were autonomous individuals in control of their own lives, instead of the residents of a modern-day concentration camp. The Kenyan government continues to restrict refugee movement in violation of the 1951 Convention, but this is seen as a necessary trade-off to keeping Somali refugees safely in Kenya and away from both mass bodily harm and violence, but also any chance of a future somewhere that isn't an inhospitable desert. But while Kenya provides the land and the legal right for the refugees to stay in limbo, the US and EU pay for the camp, they run the resettlement program and they are in charge of any long-term solution. This system portrayed by almost everyone as "humanitarian aid," which it was for perhaps the first five years of Kakuma's existence. But now, almost 30 years later, is Kakuma still a humanitarian emergency? Is the US government still trying to help people, or is it trying to keep them in one place? UNHCR calls Kakuma "protracted refugee situation." I call it a concentration camp. It's a place where hope goes to die and the future doesn't exist. Containment is at best a failed strategy. It certainly has caused a great deal of strain on Kenya. Periodically, the Kenyan government threatens to forcibly expel Somali refugees from Kenya. Recent terrorist attacks by Al Shabab will likely only increase calls for the closure of the camps. We hear a lot about Al Shabab, but much less about the hundreds of thousands of displaced Somalis living in our off-shore detention camps. Nothing in this article is meant to take attention away from the very real crisis of detention that is ramping up in the US, but make no mistake, we are also paying for the biggest prison system in the history of the world, a camp archipelago that stretches from the deserts of Africa to the jungles of Asia, with no end in sight. Is there something on my back? Imagine going back in time ten years and telling someone at UNHCR, or Refugees International, or the International Rescue Committee, or a professor in the global studies department of a major university that one day, a non-binding UN migration pact would bring down the government of Belgium thanks to a concerted, organized online troll campaign by an international network of far-right neo-Nazis, possibly funded by Russia. Yet this is now the world we live in. Politico has a great article about how the toothless, bureaucratic document became so controversial online that it actually managed to accomplish something (an unseemly parliament reshuffle in Belgium,) albeit something very different from its intention. 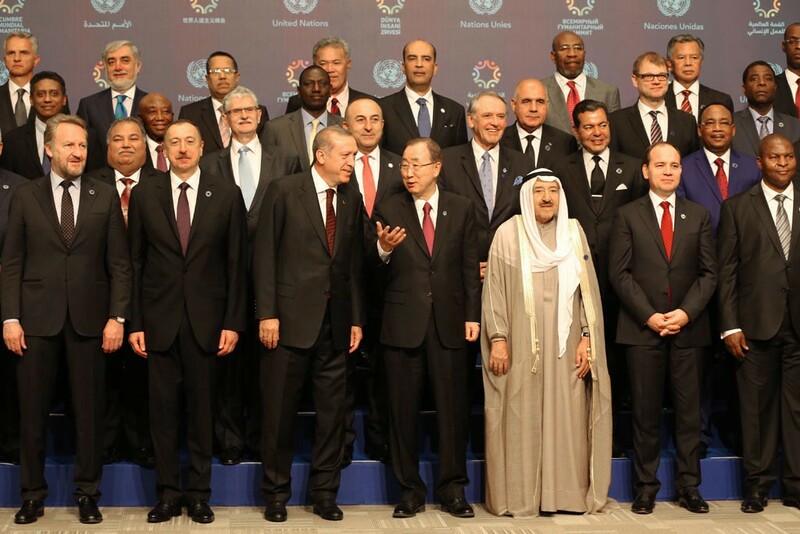 Who has actually read through the entire Global Compact for Safe, Orderly and Regular Migration? In the past, the UN would be lucky to get 10 regular people who are not migration law wonks or UN staff to read something like this. Today...well, today only 10 people have actually read it, the rest of the people talking about the Pact are simply using it as a punching bag to express their rage at everything they hate most: 1) migrants and 2) world government. The real lesson of this debacle is not simply that many parts of the world are having serious problems performing simple government functions because large portions of their populations now live inside an alternate reality where the UN actually has the capacity to accomplish anything, let alone overthrowing the global world order of nation-states to become an evil, globalist world government. (Note to the anti-UN crowd - you do much better when you point out the very real incompetence, waste and corruption at the UN - no need to make stuff up!) In fact, the far-right is doing a much better job at becoming a globalist, world government then the UN ever possibly could. No, the real lesson, the very chilling lesson, is that anti-immigrant propaganda works. In the giant social science experiment we are now living within, it turns out that anti-immigrant propaganda ranks somewhere just below anti-semitism and just above misogyny on the scale of "effective internet propaganda campaigns." For some reason, climate change and the singularity don't seem to scare people, but anti-refugee propaganda is winning it for the far-right all over the world. And what these propaganda campaigns have shown is that anything, and anyone, can be turned into a global celebrity overnight. If you work on immigration or refugee issues, that means that you, yes little you!, could be next. 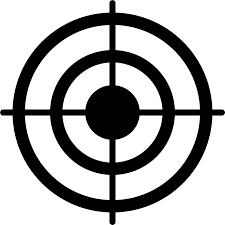 Human rights advocates and journalists are used to being targets. Everyone who speaks truth to power is aware, on some level, that one day they could enter their embassy in Turkey in search of a routine document needed for their wedding and end up being murdered and dismembered. But those of us who work with refugee and migrants aren't use to this type of threat. Sure, humanitarian work engenders risks: you could be killed by a bomb, or kidnapped. But the threats we face today are different, both less serious but also more insidious. Resolutely a-political organizations are being framed as deeply political institutions. Basic rights that most people used to agree on, even welcome, like the right to asylum, are now being framed as threats. Even wearing an "I stand with refugees" teeshirt carries with it the faint whiff of subversion, like wearing a teeshirt saying "the Catholic Church protects pedophiles." In fact, the second teeshirt is probably less controversial these days. Migrant and refugee advocates need to learn from our journalist friends - be aware that you are now working in a sensitive and politicized environment and that you might be targeted personally. Consider deleting your personal Facebook and Twitter accounts. And if you have accounts, be careful who you "friend" or "follow." Build a community of colleagues who can support you if you are attacked online. And remember that the work is always worth it. The Tech World is Coming for the Data of Migrants and Refugees, but Are Aid Agencies Part of the Problem? Solution, or public relations cover up? The World Food Program is running aid distribution for Syrian refugees on the blockchain. If you are a techno-geek, your reaction might be “great!” But if you’re a human rights lawyer, like me, your first question is likely to be “why?” Apparently, the blockchain can help avoid transaction fees because there is no middle man. But as we know, running a blockchain takes a lot of money, so it’s not clear the savings are real. 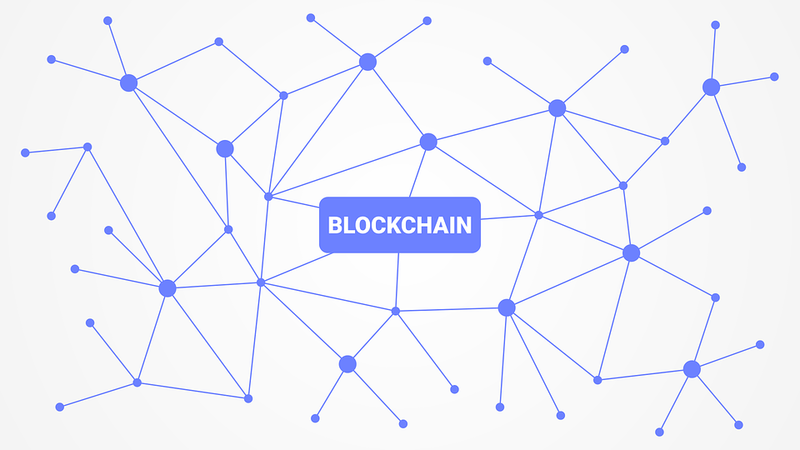 Blockchain requires a large amount of energy and storage space to run, so without more information on exactly how much all this is costing, it’s not certain how much is really being saved. The fact that the private sector has yet to find a cost-effective, sustainable use for blockchain should give aid agencies pause. But this raises a second, more important question. If using blockchain isn’t about saving money, is something more sinister going on? People thought Facebook was free, but in actual fact, people using Facebook were paying far more than the equivalent of a $50 cash fee in valuable personal data they were handing over to the company. As we now know, this personal data was sold at an enormous mark up to all sorts of dubious actors. So it’s well worth asking the question: is WFP is rolling out blockchain at a substantial, if invisible, cost to refugees, who are obligated to submit to iris scanners and the sharing of other intimate, personal, identifying information? WFP has relentlessly promoted this technology as “good for refugees” because it “saves time” and “promotes accountability.” It’s also creating a giant database of the irises of thousands of people, a database which appears to be partially under the control of a private company. How will this database be used? In other blockchain news, UNHCR appears weirdly excited about creating a “digital identity,” perhaps on a blockchain, for all UNHCR registered refugees. UNHCR has enormous power over the lives of refugees, as in many parts of the world, it determines refugee status and hands out refugee ID cards. This power gives UNHCR a quasi-governmental function and it means that it is imperative to question any programs to alter the ways in which refugee cards are handed out or the ways in which refugee personal information is stored or used. For an organization that is filled with refugee lawyers who barely know how to use Excel, this sudden desire to create a giant database of refugees biometrics and personal information seems odd. Given that blockchain doesn’t yet have a commercial application, the breathlessness of UNHCR public announcements on blockchain’s usefulness in particular seems even more odd, but maybe it’s less odd when you look at it from a public relations standpoint. Sure, blockchain has yet to prove useful in any way, unless you can call Bitcoin useful, but it sure sounds good. Blockchain, as we all know, is “decentralized,” which apparently allows individual people, say individual refugees, to maintain control of their own data. Blockchain takes some of the creepy out of a massive database of refugee eye scans, fingerprints, medical histories and persecution claims. But why create such a database in the first place? And does having it on a blockchain really protect refugee data? All of this seems rather less odd when you see what’s been happening over at IOM, the International Organization for Migration, where biometrics is the word of the day. IOM has turned biometrics and border control into a global industry all its own. Under the soft patina of a light-blue UN halo, IOM has been quietly compiling a massive, global database of migrants to be shared with governments as part of a world-wide system of surveillance. If you’ve ever set food in a migrant camp, chances are, IOM has your fingerprints. And where ever you go in the future, IOM will be there, with a full record of every time you’ve tried to cross a border or been deported. This sort of information is super useful to governments trying to sort out who is who among the flows of refugees and migrants coming into their countries. Now imagine if you could add to the data IOM is providing a complete run down of every time someone has claimed asylum in another country, complete with their entire refugee status determination history? Wouldn’t that make the process of identifying asylum-seekers much easier? Sure, the blockchain can assure refugees that their data hasn’t been altered, but isn’t the very fact that their data is being collected and shared in this centralized way, often without what any normal person would call their consent, a human rights problem of its own?